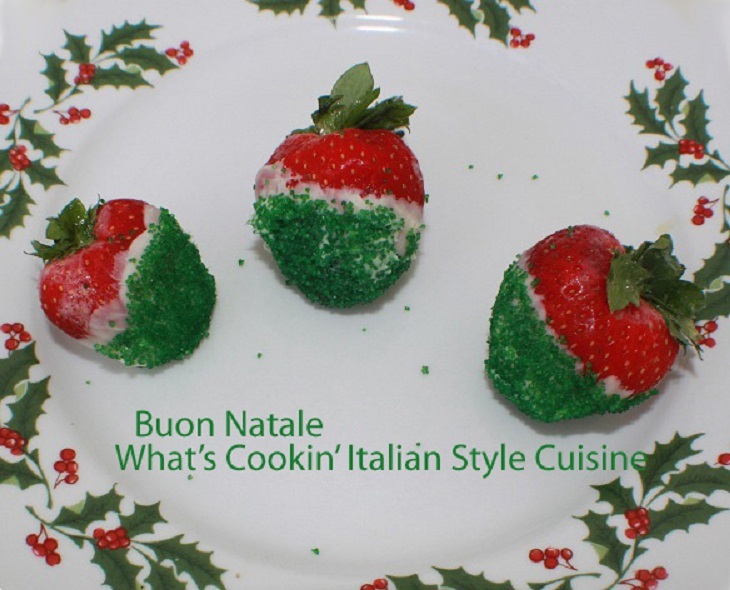 Every year we try and make something very Italian looking in colors. Whether it's a cookie, dessert or festive food. This year we dipped our berries. Dip just the bottom half of the strawberry into white chocolate then immediately into green tinted sugar. Let dry on parchment paper, I put mine in the refrigerator. Deliziosi!!! Tanti cari auguri di buone feste!! !